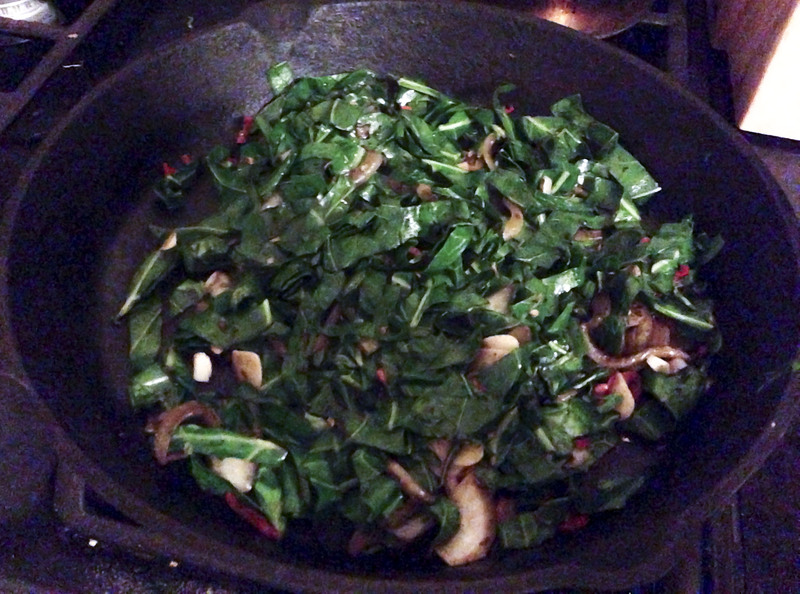 Mmmmm… collard greens went from a vegetable I’d never cooked to my favorite dish faster than Sandy’s hurricane winds. 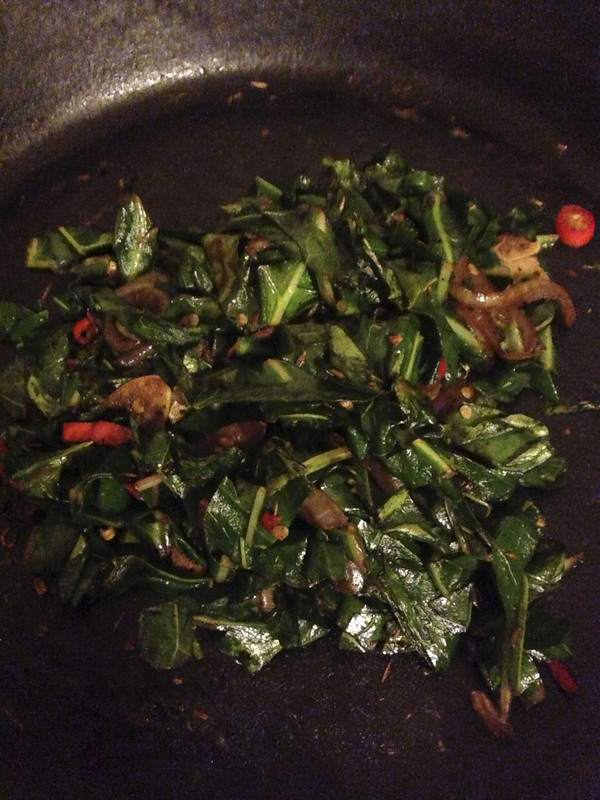 The method and spices I use to cook my collard greens is a cross between Indian and Southern style. 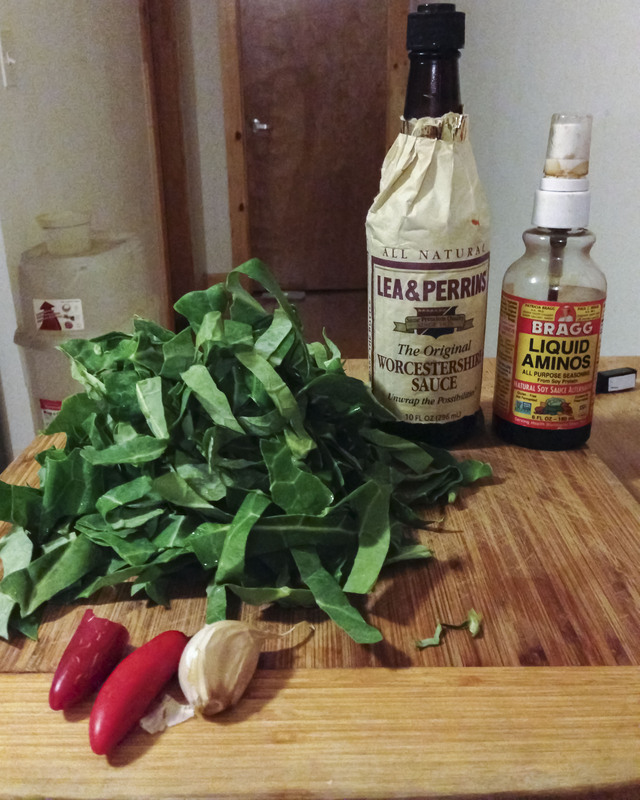 I also like my collard greens spicy so feel free to modify this recipe depending on your spice level. collard greens are so so good for you – they help prevent cancer, are anti-inflammatory, help to detox the body, are an anti-oxidant, contain Vit C, Vit E, manganese, and beta-carotene. If you don’t know about Bragg’s liquid amino’s than it’s time you get yourself some! Bragg’s tastes like soy sauce but is gluten-free and consists of all the major amino acids, I like the spray bottle for an easy all-over application. Believe it or not jalapeno’s are actually good for you so go nuts and spice it up girl! Just one jalapeno contains more than a day’s value of vitamin C, with way less calories and sugar than an orange. Jalapeno’s are also full of vit K, vit E, potassium, antioxidants, and capsaicin! 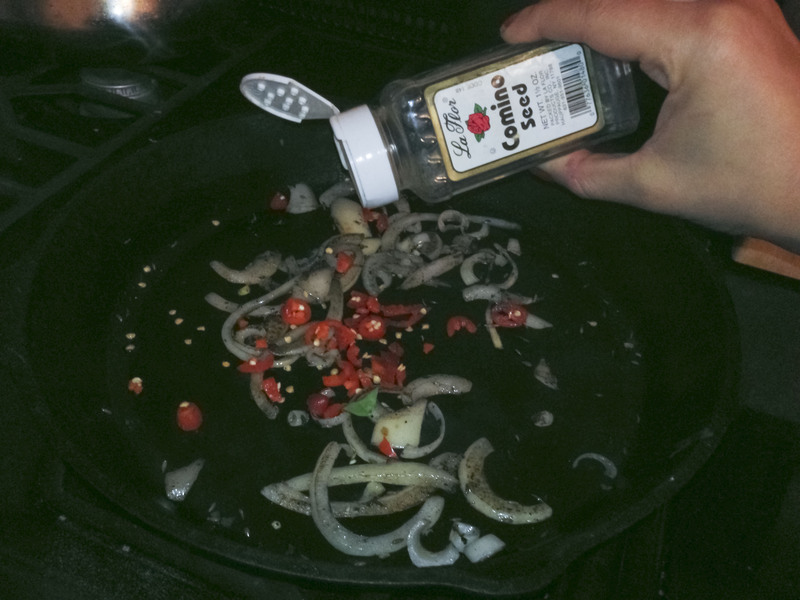 Cumin has antiseptic properties that can help fight colds and flu, they also contain iron and can aid in digestion. 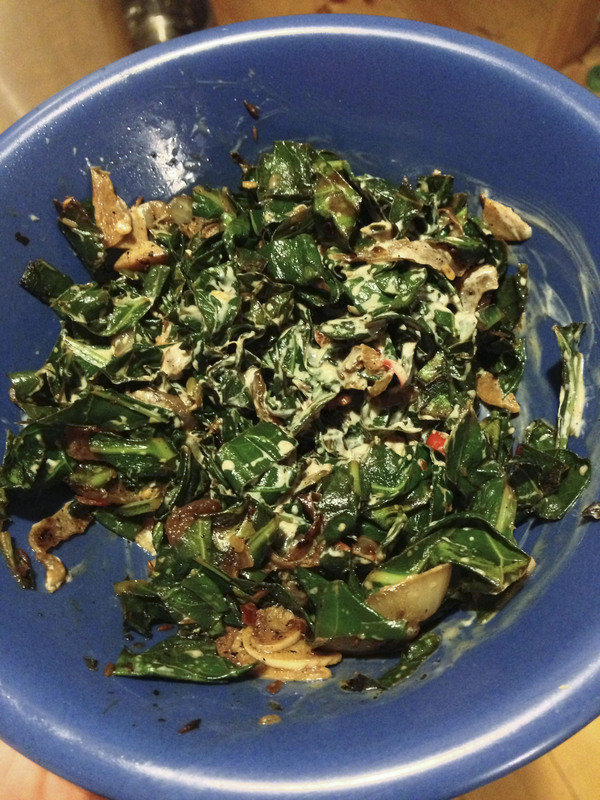 So without further ado – vegie collard greens!